The newly populated Ramat Givat Zeev offers the perfect environmental development, including tens of thousands of trees, extensive parks and community services such as a beautiful mikveh, commercial center, playgrounds, sports courts and more. The construction of a magnificent new synagogue, which is expected to be completed within eight months, will serve Ramat Givat Zeev, which is one of the top quality neighborhoods built in recent decades for the North and South American immigrant communities. Hundreds of families have already begun to settle in Ramat Givat Zeev – one of the most sought after neighborhoods in Israel. The community enjoys a safe and friendly atmosphere, and includes lawyers, judges, doctors and other educated professionals. The synagogue will serve rabbis from all over the United States, who are well known among the immigrant communities. The rabbis will come in once a year to support the new immigrant residents of the neighborhood. Rabbi Avraham Horowitz will coordinate and manage the neighborhood’s educational institutions – some of the most advanced in the country. 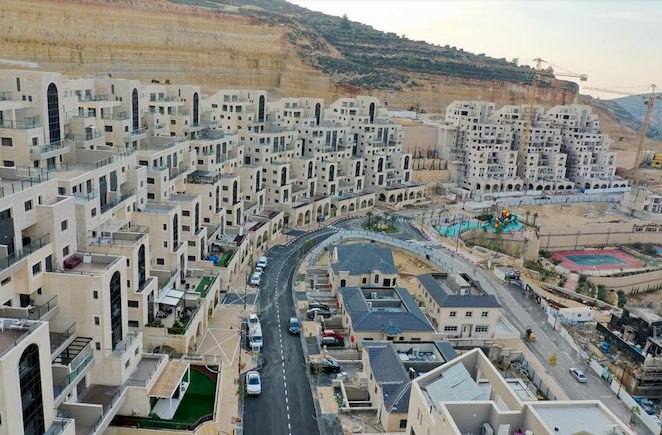 Experts predict that the high demand for the neighborhood in the coming years will lead to an increase in prices of up to 30,000 shekels per m2, due to a small number of apartments left for sale. Today, the prices are about 18,000 NIS per m2 and are expected to double within four years, which is likely to cause a shortage of apartments. There is already a waiting list with dozens of families who wish to rent real estate in Ramat Givat Zeev. Find out how you can own property in the most sought after neighborhood in Israel here.